VietBet Casino: Not the Casino for Casual Players? 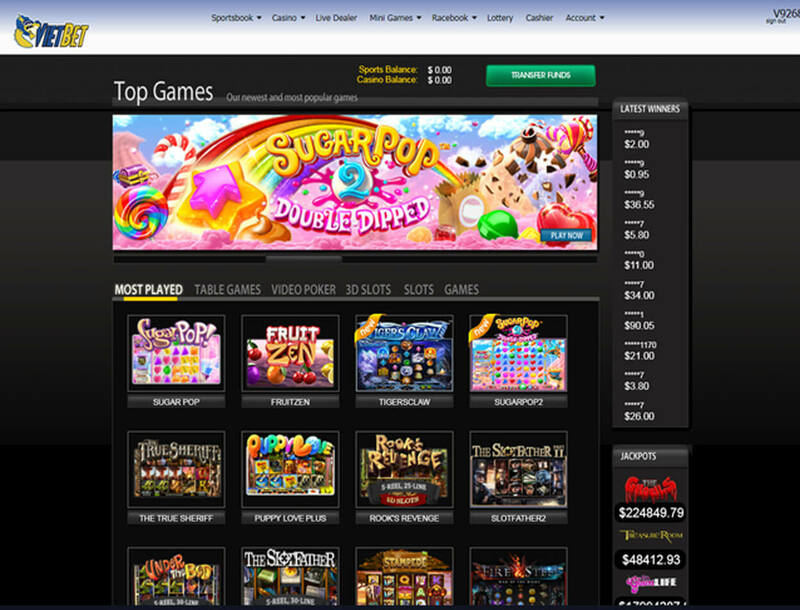 While the game library of the casino is attractive, other parts of the betting site can be disappointing. The site’s license to operate comes from Costa Rica. While this license is proof that you are playing under a legally operating business, it does not guarantee that the regulatory body will help you should you run into any trouble with the casino. Does VietBet Casino have everything you want out of a gaming site? Find out by reading this review. 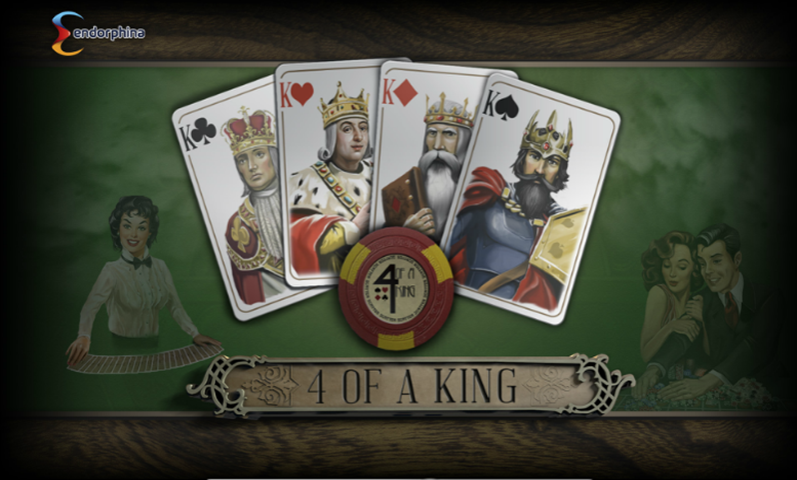 There are three different All Red 5-5-5-5 Blackjack games in the Bonus Casino section. You can win US$5,000, US$25,000, or US$50,000 if you are lucky to draw four 5-red cards. It does not matter if the result of the round is a push or lose. You are entitled to the cash prize as long as you manage to get the required cards. In order to get your prize, you have to contact the support team and state the exact time you drew the four 5-red cards. The exact time is important since this is the only way for casino personnel to check if you drew the cards. When the casino confirms that you indeed got the right combo at the time you indicated, you will get your cash prize. The good news is that the cash prize does not have rollover requirements. This means you are free to play more games with the prize or withdraw the money anytime. VietBet Casino has a number of daily bonuses that differ in amount per day. You may choose the best day to play a certain game at your advantage. 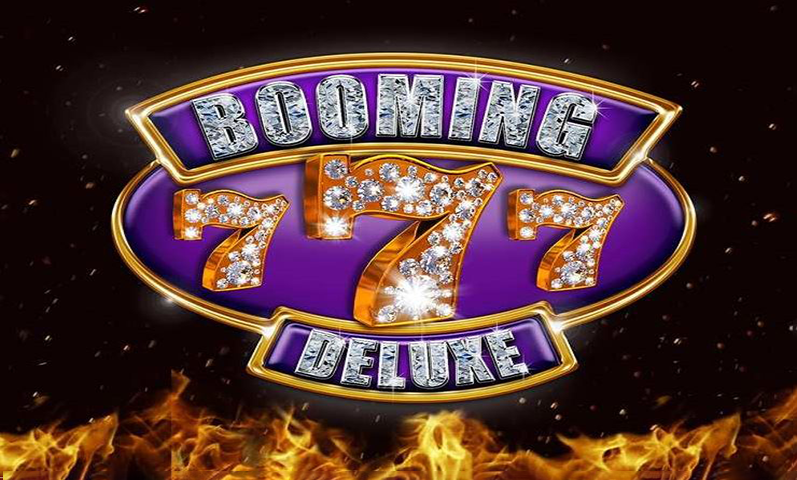 Every Monday from 2 p.m. to 8 p.m. EST, the Baccarat Zero game in the Bonus Casino section has higher payouts. The standard payout of U$0.95 for bank wins increases to US$0.9725 while the US$1.00 payout for player wins goes up to $1.027 during the bonus period. Tie payouts stay the same at 9.5 to 1 when the Baccarat Zero game bonus is active. Pai Gow poker payouts increase every Tuesday from 1.02 times your bet to 1.05 times. The bonus period is from 2 p.m. to 8 p.m. EST. Note that this promo applies only to the Pai Gow poker in the Bonus Casino section. Payouts for the 18-number combination bet for Bonus Casino’s roulette game increases from 1.09 times your bet to 1.11 times. The increased payout is active every Wednesday from 2 p.m. to 8 p.m. EST every Wednesday. Thursday is the day for you to play craps. During the 100x Craps Thursdays period of 2 p.m. to 8 p.m. EST, the bet limit increases from 10 times your bet to 100 times. This bet limit applies to Pass Line Odds, Don’t Pass Odds, Come Bet Odds, and Don’t Come Odds bets. The usual payout for a blackjack hand is 3 to 2. However, the payout for the Ace-21 hand in the Bonus Casino’s blackjack game is 2 to 1 every Friday from 2 p.m. to 8 p.m. EST. 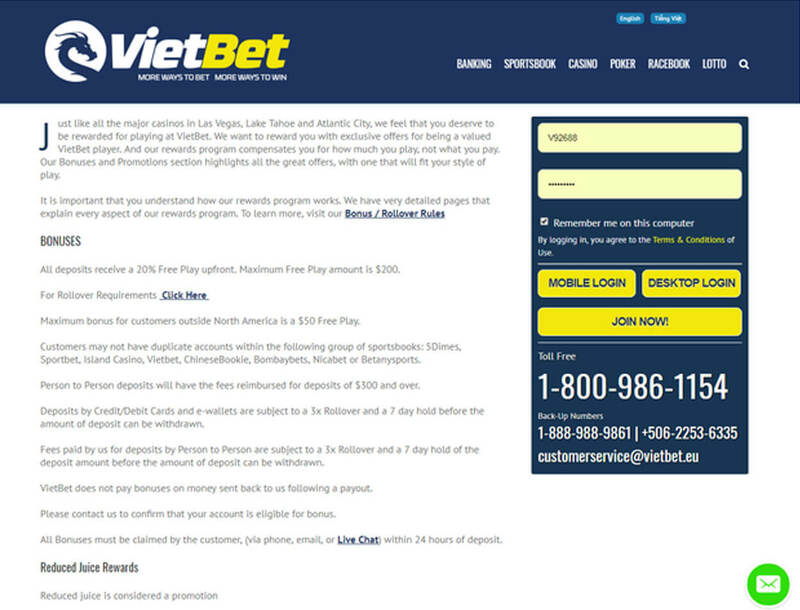 The promotions of VietBet Casino may disappoint you if you are used to welcome or reload bonuses. All bonuses are available only on certain days of the week. In addition, the high payouts are hardly anything to get you excited. Even the reward you get from the All Red 5-5-5-5 Bonus Casino Games can be a hassle because you need to have someone from the casino check if you did get the four 5-red cards. On top of a weak promo provision, the casino makes you jump through several hoops just to find the page that has all the info on the bonuses. Better slots sites put all of their available promos on a single page. These gaming hubs also provide better offers like free spins for featured games and match deposits. VietBet Casino houses a total of 282 titles. 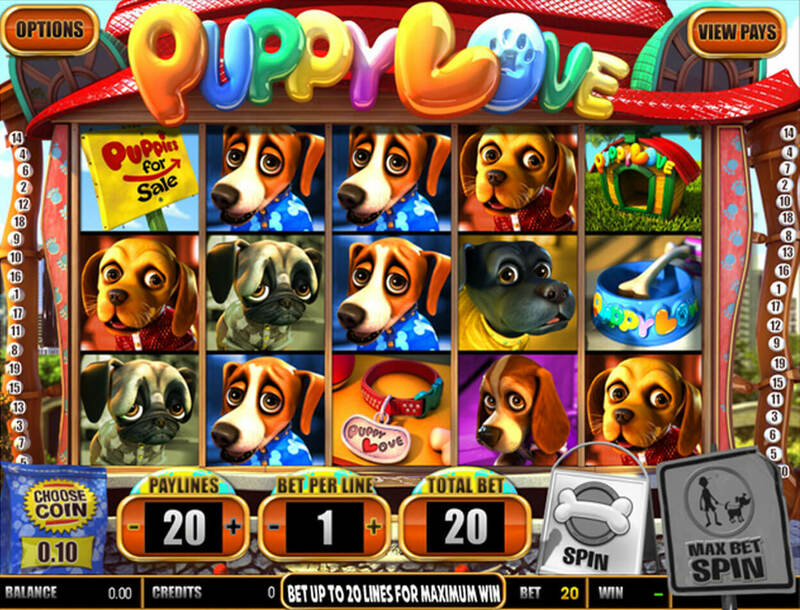 You have your Betsoft Gaming slots like Safari Sam, Puppy Love, and SugarPop! alongside the site’s lineup of table games in the Jackpot Casino section. 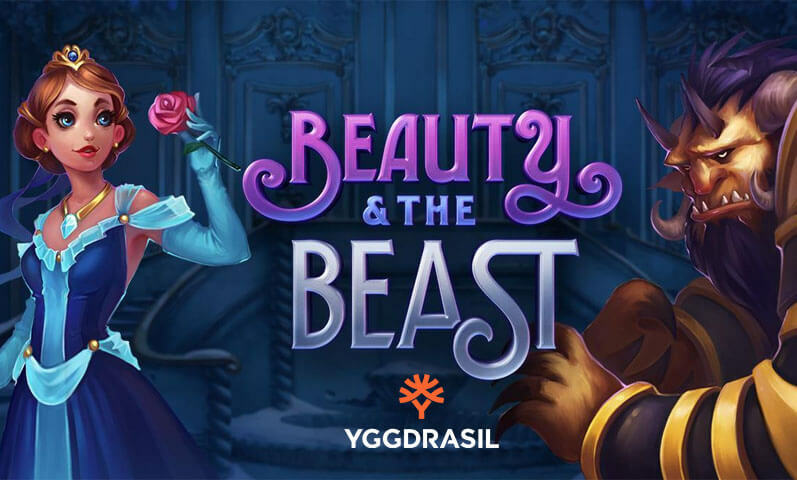 The Grand Casino section has RTG titles while the Bonus Casino section, where most of the qualified games for the gaming site’s promos are found, is where you can play DGS titles. 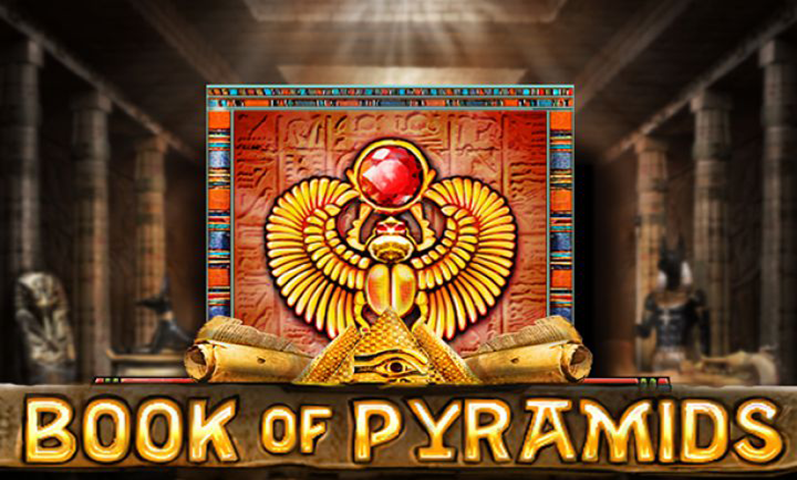 You can also find in this casino live dealer games from Visionary iGaming. These include live baccarat, blackjack, and roulette. All these titles are hosted by live croupiers throughout the day. Some of the games in this gaming hub can be played on your smartphone or tablet as long as you are connected to the internet. Games you can play while on the go include Aladdin’s Wishes, Asgard, and Aztec’s Millions from RTG. 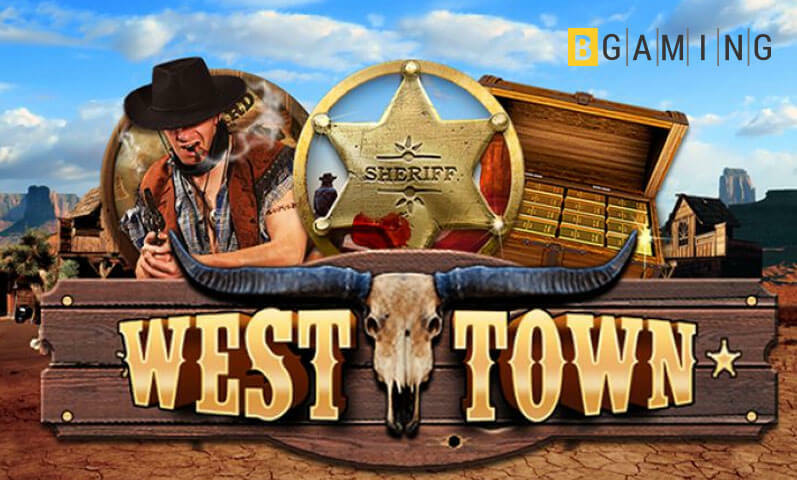 If you want to load the list of all the games from the Grand Casino and Bonus Casino sections, you need to install the casino software in your desktop computer. You will experience the problem of navigating different casino sections because of how the site is designed. This can be inconvenient when you are looking for a game you want to play. On top of this problem, your account wallet is not shared across all sections. If you want to play a Betsoft slot after hitting the virtual tables of RTG games, you need to transfer your money from one section to another. 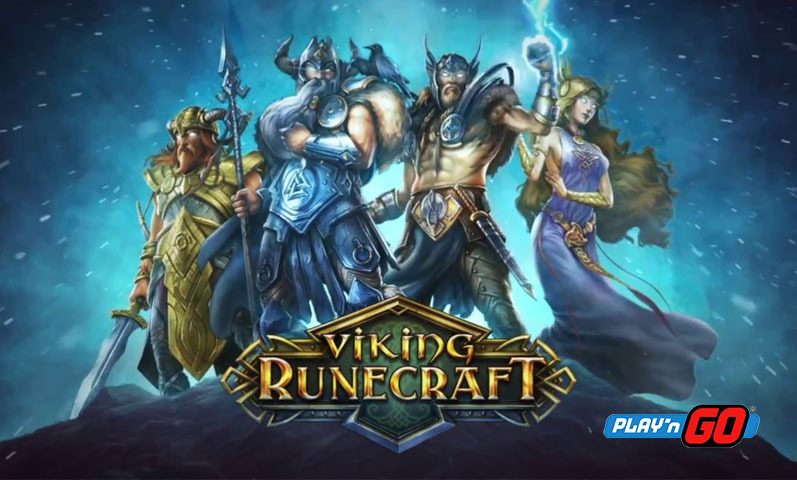 The gaming hub supports many fiat payment options such as credit cards and e-wallets. 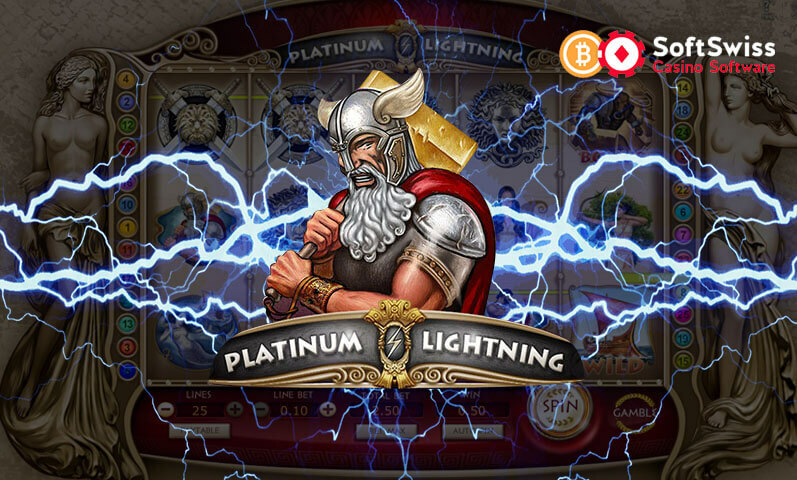 You can also use your Bitcoin for the casino games and turn your winnings back into crypto. The only currencies accepted by the casino are USD and BTC, which can be disappointing for players who have different currencies. The minimum amount for depositing is quite expensive. But if you are a high roller, this will not be a problem. The withdrawal channels available are the same as the deposit methods provided. 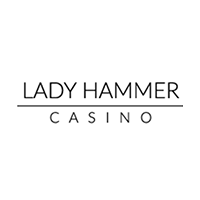 The lowest amount you can withdraw through your Bitcoin wallet is US$50 only. But if you want to cash out your winnings via debit card or e-wallet, the minimum is US$100. For bank wire, the lowest amount you can cash out is US$1,000. 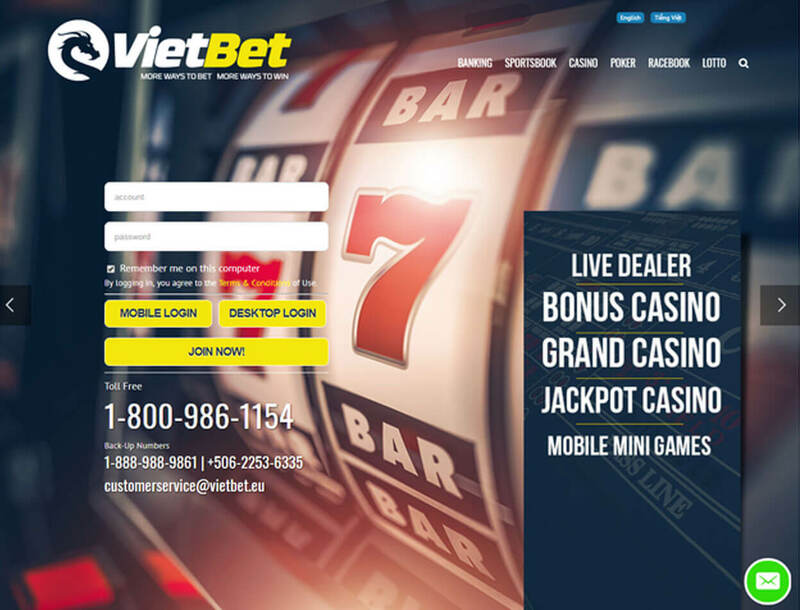 The number of banking options on VietBet Casino compared with that of other casinos is quite few. But if your preferred payment or withdrawal method is provided and that you are a high roller, you may find the banking terms just fine. VietBet Casino gives you a good reason to spend money on the site if you are to look only at the game library which contains decent titles. But there are parts of the online casino that may make you turn away. A shortcoming of the site is its bonuses. Slightly higher payouts that are available only on a Wednesday will definitely not compare to free spins for Bitcoin video slots or 100% match bonuses that other brands offer. Another downside of the casino is its high deposit threshold. If you are a casual player, then this site may not be for you. Nevertheless, if you are a high roller and that not one of the problems with VietBet Casino bothers you, this betting site is a great place for you to stake your funds.